upgrade my computer. I decided it was something I wanted to learn how to do myself and in the 20 years that have passed I’ve continued to gain experience in the field of computer repair and networking. 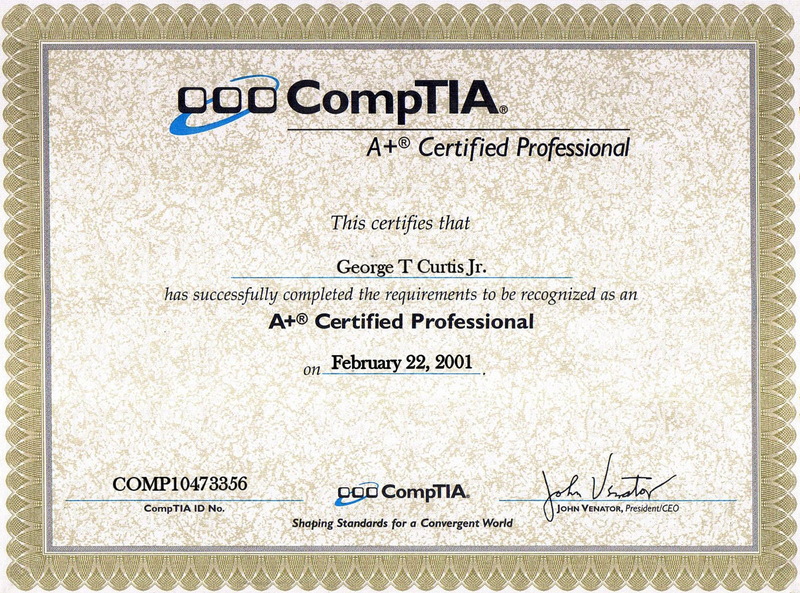 In 1998 I was named as the point person for all the computer related issues at the nursing home where I worked. The company sent me for training so I could install the monthly server software patches and Windows updates. Gradually I started to learn more and was even called to other nursing homes in the chain to help with their technical problems. I found I really working with software but realized my knowledge was limited to my company’s software product. I also had no experience with computer hardware, so I started looking around for technical training. 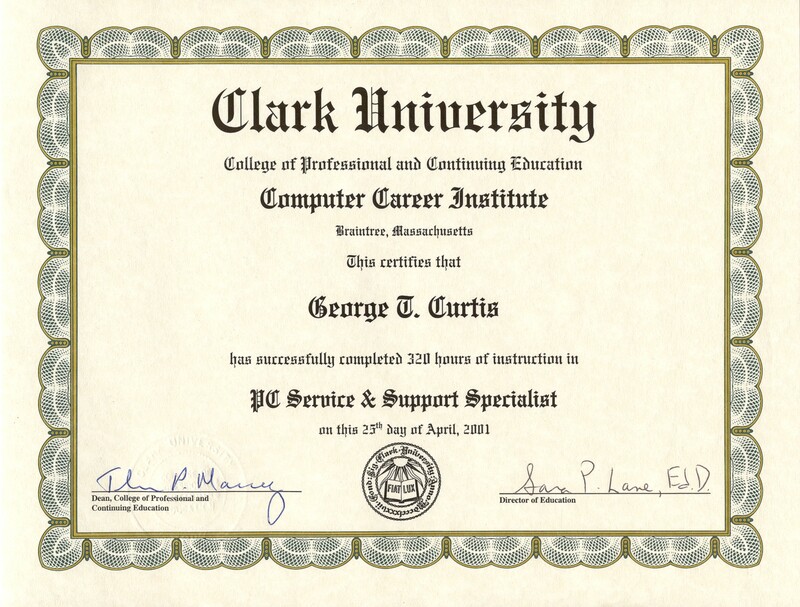 In 2000-2001 I attended Clark University’s Computer Career Institute in Braintree, Massachusetts and completed a hands-on, 320 hour, instructor led course. We spent every single class doing hands-on troubleshooting, taking computers apart and putting them back together again until it became second nature. The courses covered a wide range of topics including computer repair, wired and wireless networking, hardware and software troubleshooting and Windows operating systems. hands-on experience in the lab or field. (MCSA) exams by attending and MCSE\MCSA course atXintra Computer Institute in Quincy, Massachusetts. r troubleshooting is something I generally enjoy. 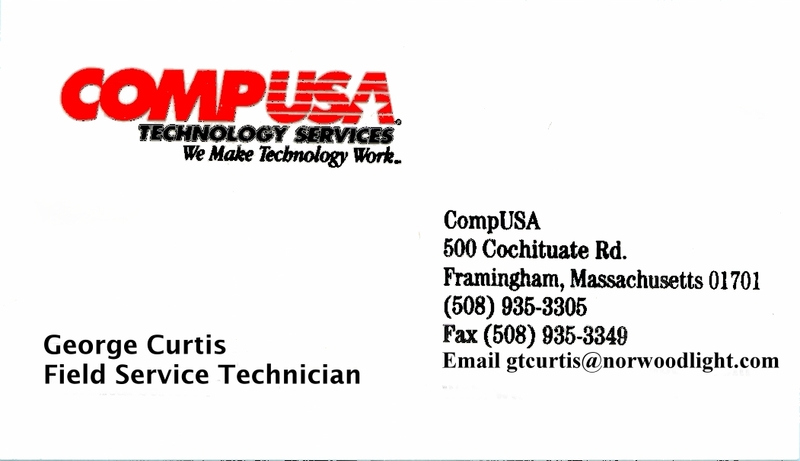 To gain more experience, I worked as a field service support technician for a major retail computer chain, COMPUSA. On a typical day I would deliver and set up a new computer for one customer, remove a virus for another, and troubleshoot a network problem for a third before heading back to the shop to work on a computer that wouldn’t boot up. I saw something new everyday and it was a great learning experience for me. Unfortunately, COMPUSA went out of business so I had to move on. 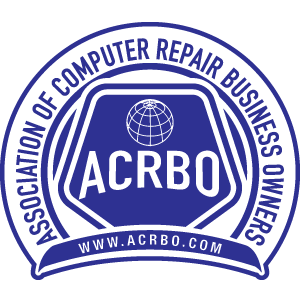 I started PC Overhaul in 2004 with the idea of putting my new experience to the test by giving local customers in the Norwood area the same great service I was providing at COMPUSA without all the sales pressure. support technician for the Hospital here in Norwood, and I jumped at the chance to gain more experience. Along with 3 other technicians I handled all the printer and computer hardware and software repair, troubleshooting and replacement for the Hospital and it’s satellite facilities. This included the servers for printing, file management and special health care software, as well as the backup servers and tape backup drives. One major project I managed involved the upgrade and replacement of over 500 computers running Windows NT to new workstations running Windows 2000 and Windows XP. Each computer had to be removed and replaced while the day-to-day functions of the hospital continued uninterrupted, and it was quite a challenge but we got the job done ahead of schedule. In 2006 I started doing some contract work on my own. I did some technical contract work for Dell, HP, Insight, The Boy Scouts of America, DHL, Dunkin Brands, & Synerfac. Now I am trying to help you get the best performance out of your home computers. I am fully licensed by the Town of Norwood. My goal is to solve your technical problems as quickly and painlessly as possible, without all the pressure you get at the big chain stores to buy services and accessories you don’t want or need. In the years that have passed since I started PC Overhaul in 2004, I have been lucky enough to marry the woman of my dreams and have two amazing children. So in addition to my computer repair work, I am also a stay at home father. One of my boys is in school full time now, but I am still home most days during the day, so customers need to bring their computers to me. This works out well because the majority of the work I do such as malware and virus removals, Windows re-installations, and data recovery service takes a great deal of time to complete and wouldn’t be practical to do at your home. My home office is set up with all the tools and professional software I need to handle just about anything. Contact me today for your free diagnostic exam. PC Overhaul is the place you are looking for if you have the computer blues for any reason what so ever. My first experience with the owner, George, was about a year ago when I needed to have a virus removed from my PC. He thoroughly diagnosed the issue and completely resolved the problem. I encountered a new issue with my mail server today which George was able to diagnosis and rectify remotely! The man is a genius. And he is also a gentleman. Can not recommend George and PC Overhaul highly enough! George is several things: 1) First, he is as honest a person as my wife and I have met - any any line of work. 2) He is extremely knowledgeable and proficient in all matters digital and electronic; 3) His work product is superior. I highly recommend that people call this business and use George Curtis. You won't be sorry. There really aren't enough positive words to describe the professionalism, determination, and quality of work George provides his clients. As someone who is (somewhat) well versed in computer hardware/software I had a problem that left me utterly stumped. George jumped at the opportunity to help with boundless knowledge and resolve to find my computer's faults. I really appreciate the time and care he put into helping me and I can tell he does the same for everyone in need. Couldn't recommend enough. I would like to thank PC Overhaul for helping me with my computer. I had somehow gotten a virus on my computer and was unable to access my photos. George the owner, worked remotely and was able to remove the virus and get all of my photos back!! Thank you!!! I can't say enough great things about PC Overhaul, and George, the owner. I needed some remote help trying to install some antivirus software on my parents Mac that I was unfamiliar with. Due to the older OS the options I tried weren't working - but George quickly gave me a few other options and made sure they were working for me. Even though I'm 3+ hours away, George was quick to reply and we had a resolution in just a few short minutes. If you're not working with PC Overhaul for all your computer needs - you should be! George is professional and honest. He really knows his stuff. My laptop got infected with a virus at the worst time and George at PC Overhaul got it working again very quickly.He updated all the software and gave me a new antivirus and it's running better than ever. Thanks so much George for all your help! I appreciate it so much. I highly recommend PC Overhaul. George is very knowledgeable & very easy to work with. He was able to resolve my computer issues very quickly. Can't thank you enough! George is Amazing! This is my first choice for PC repair or any technical issues. George was great! He was able to solve my computer problem within minutes. Not only is he good at computers, he's also a super nice guy. Highly recommend!